Hospital prescription. 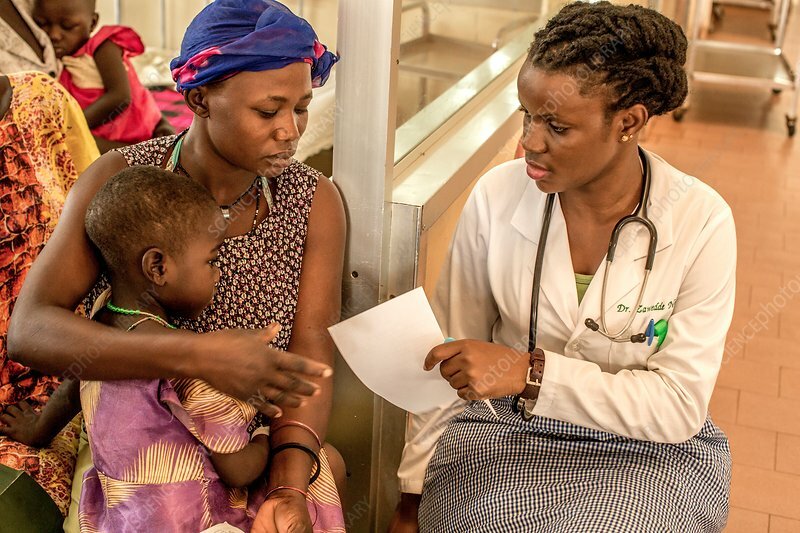 Doctor with a mother and her daughter, giving them a drug prescription after examining the child and assessing her health. Photographed in St Mary's Hospital, Lacor, Gulu, Uganda.